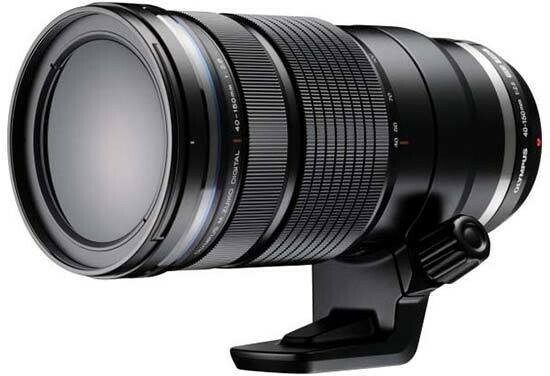 The Olympus M.ZUIKO Digital ED 40-150mm f/2.8 Pro is a new weather-sealed, professional-grade telezoom lens for the Micro Four Thirds system. Featuring what the manufacturer calls the first-ever focusing system to power two high-grade lens elements using dual linear motors, the Olympus M.ZUIKO Digital ED 40-150mm f/2.8 Pro lens promises extremely fast auto focus speeds and ultra-quiet operation. 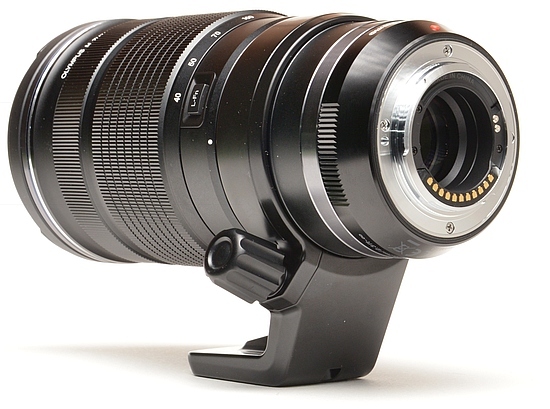 With a minimum focus distance of just 70cm at all focal lengths, a dedicated Fn button, manual focus clutch and a sliding, protective lens hood, the new 40-150mm f/2.8 Pro telephoto zoom lens offers a compelling feature set as well as a complex optical formula that comprises 16 elements in 10 groups and an aperture diaphragm with nine rounded blades. The Olympus M.ZUIKO Digital ED 40-150mm f/2.8 Pro telezoom is available for £1299.99 / $1499.95 on its own and £1499.99 in a kit with the M.Zuiko Digital MC-14 teleconverter. 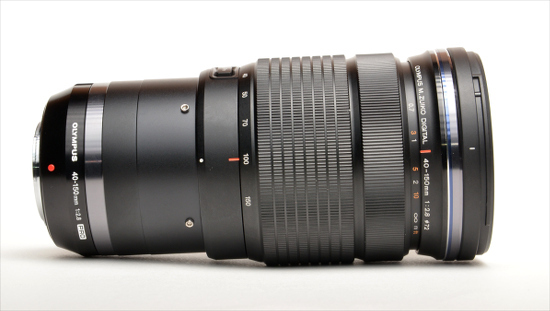 Weighing in at 760 grams without the included tripod adapter, the Olympus M.Zuiko Digital ED 40-150mm f/2.8 Pro telezoom is exactly as heavy – or lightweight, depending on where you stand – as the widely-known Canon EF 70-200mm f/4L IS USM lens, while covering a wider angle-of-view range and offering a full-stop brighter relative maximum aperture. Given that all Olympus compact system cameras – and the Panasonic GX7 – feature an in-body anti-shake system, it is not surprising that the Olympus M.Zuiko Digital ED 40-150mm f/2.8 Pro doesn't offer in-lens image stabilisation. 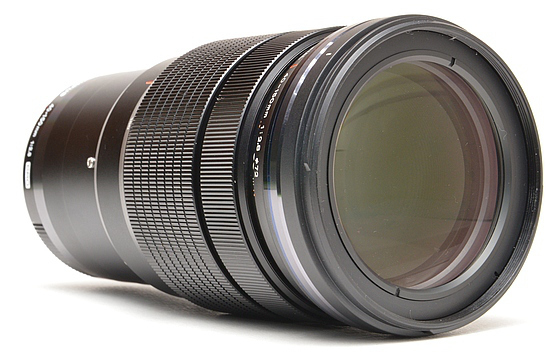 Apart from that, though, it's an impressively well-featured lens. 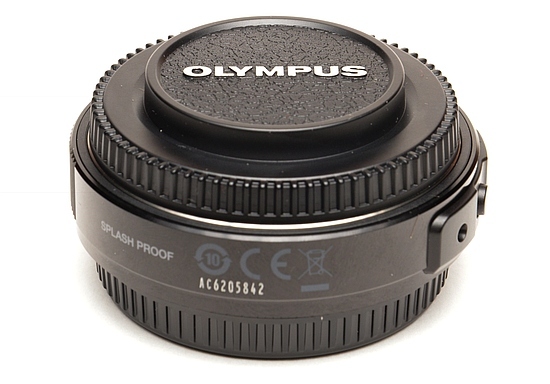 For starters it has a focus clutch mechanism similar to the one found on the M.Zuiko Digital ED 12mm f/2 lens: pulling the focus ring backwards exposes a useful distance scale and allows you to use the Olympus M.Zuiko Digital ED 40-150mm f/2.8 Pro as a manual-focus lens. In addition, the Olympus M.Zuiko Digital ED 40-150mm lens has a so-called L-Fn button, which allows users to temporarily suspend continuous auto focus when something suddenly comes between the lens and your intended subject. This is mostly useful when shooting a movie clip with C-AF enabled, but the feature can also be used when photographing action. 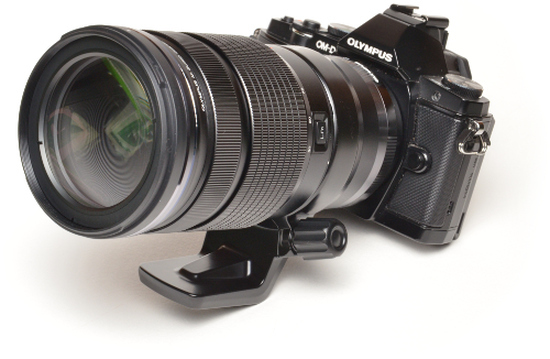 The Olympus M.Zuiko Digital ED 40-150mm f/2.8 Pro telezoom ships with a detachable tripod collar. When attached, it allows camera rotation, eliminating the need to tilt the tripod head for switching from landscape to portrait orientation or vice versa. 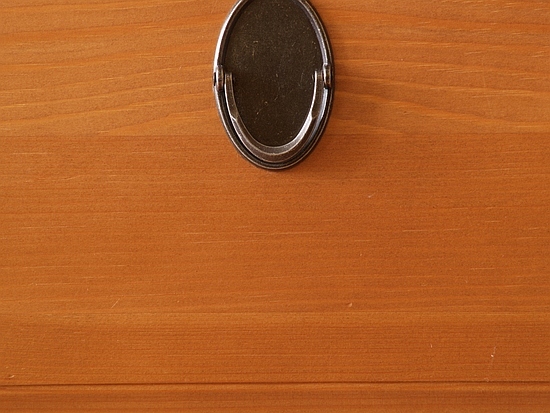 There are markings on the lens barrel to show 90° rotation points. 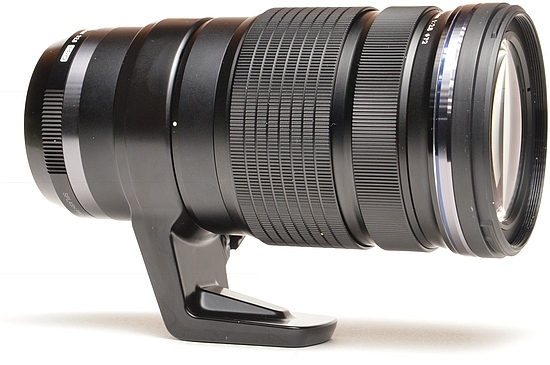 The size of the foot is well matched to the weight and bulk of the lens. Both focusing and zooming are fully internal, meaning the lens' optics adjust within the constraints of its outer barrel, so the length of the lens remains the same regardless of zoom and focus settings. The zoom and the focus rings are smooth in action without being loose. 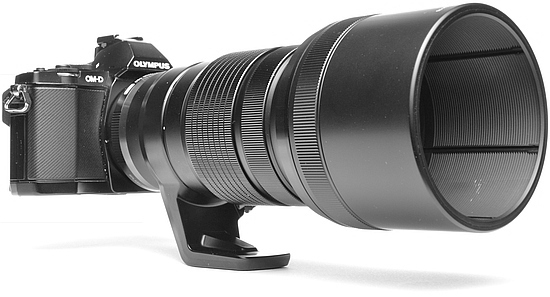 The Olympus M.Zuiko Digital ED 40-150mm f/2.8 Pro lens accepts 72mm screw-in filters. 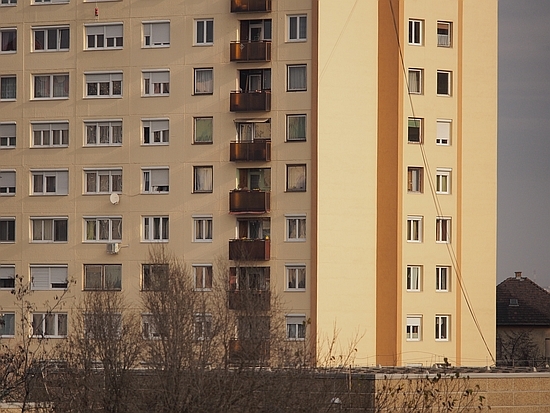 The thread does not rotate on focus, making the use of polarisers that much easier. The Olympus M.Zuiko Digital ED 40-150mm is fully weather sealed (dust- and splashproof), so it can be used safely in wet and dusty environments alike as long as it's attached to a similarly weathr-sealed body (e.g. OM-D E-M5/E-M1). It is not claimed to be waterproof though, so do not try to submerge it in a pond or river. The mount has all the MFT contacts and is of course made of metal. The included lens hood has an unusual but ingenious collapsible design. While removable, it is not reversible. It attaches to the front of the lens via an inner mechanism and a quick-release ring allows you to twist and push back the hood for storage, without having to detach and reverse-mount it. 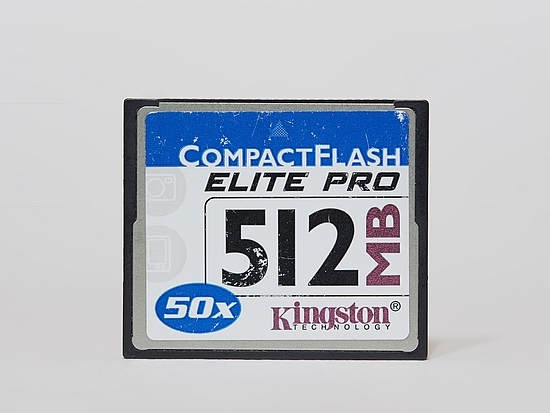 This also comes in handy when adjusting a polariser or simply attaching a filter. 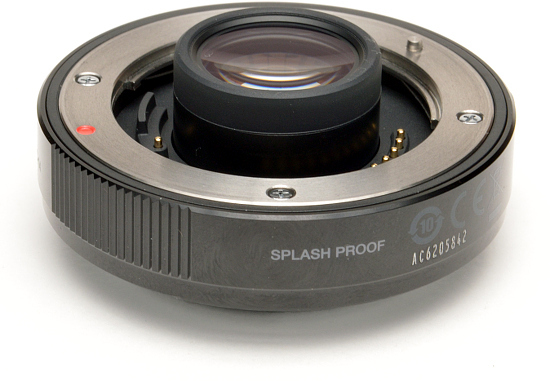 The lens remains usable with the hood in the retracted position, although you cannot access the focus ring this way. To block stray light (and access the focus ring) all you need to do is slide the lens hood forward. 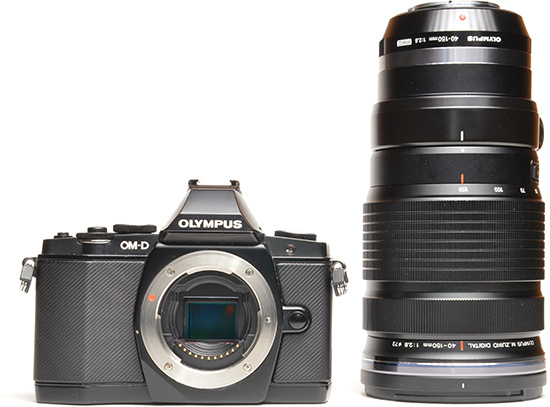 The Olympus M.Zuiko Digital ED 40-150mm can be bought on its own, or in a kit with the MC-14, a 1.4x teleconversion lens that goes between the lens and the camera body, as shown in the picture below. 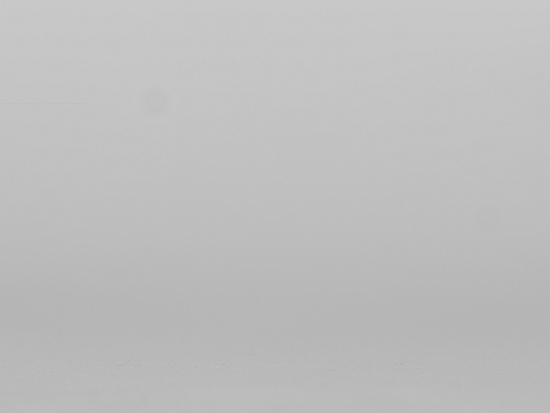 The teleconverter is weather sealed to the same degree as the lens and the E-M5/E-M1 cameras. 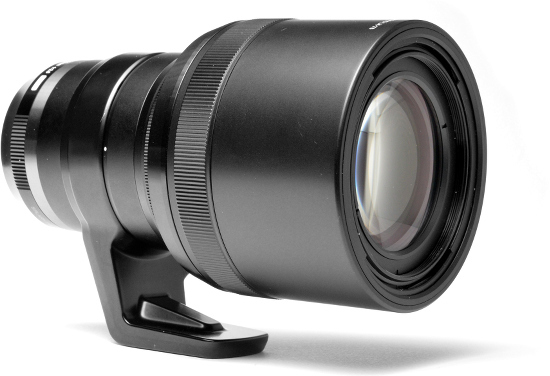 The MC-14 extends the focal length to 210mm at the 150mm end, causing the angle of view to shrink to 5.8°, equivalent to that of a 420mm lens on a 35mm camera. 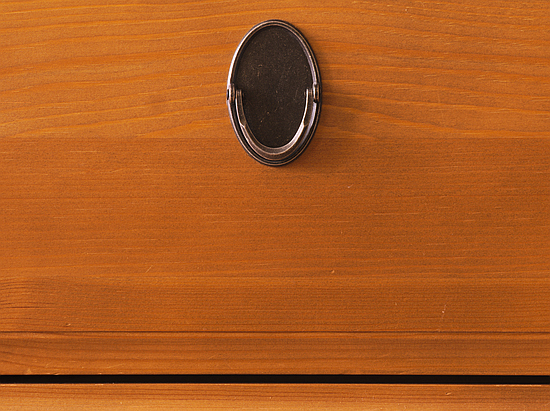 With the lens attached to an Olympus E-M5 camera body, focusing is incredibly fast. The subject typically pops into focus within the blink of an eye – very impressive. In good light you will even find the C-AF performance respectable, if not quite on a par with a pro SLR. A word of warning though – if you have face detection AF enabled on the E-M5 and you are not focusing on a human subject, the auto focus system becomes slower, less decisive and sometimes downright confused. 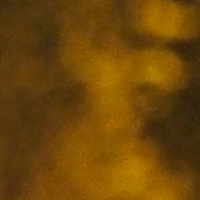 So make sure to switch face detection off whenever photographing something other than a person. This may only apply to selected camera models though – it is entirely plausible that this problem won't arise when shooting with an OM-D E-M1, for instance. 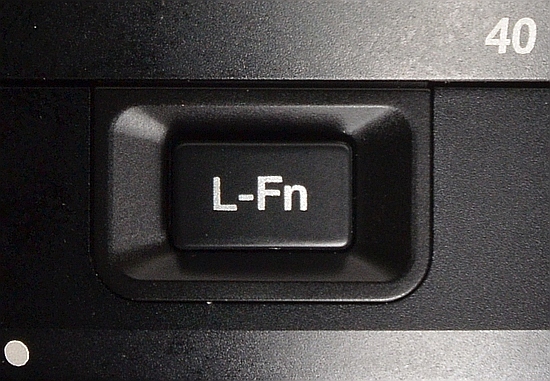 With the focus ring in its normal position, manual focusing works just like it does on any other Micro Four Thirds lens. In MF, S-AF+MF or C-AF+MF mode – as set on the camera – you can simply grab the focus ring and rotate it to focus on your subject. 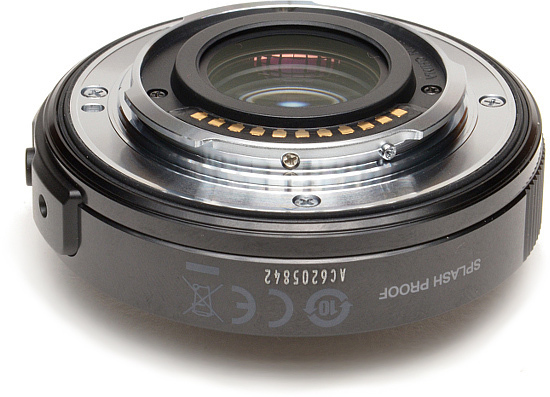 In this position, the focus ring has no stops, hard or soft, at either end of the focus range – which is again typical of an MFT lens. Pulling the focus collar back sends the lens to manual focus mode, regardless of what focusing method you have set on the camera. In this position, the focus ring stops when you reach infinity or the close-focus point, much like on a classic manual-focus lens. As noted earlier, the lens' distance scale also becomes visible in this mode, with distances marked in both metres and feet. 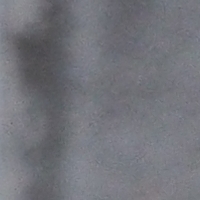 There are no depth-of-field marks, though. This is a significant difference. Note however that while the older Four Thirds lens is essentially at its close-focus point here, the new professional Micro Four Thirds telezoom can focus down to 0.7m. 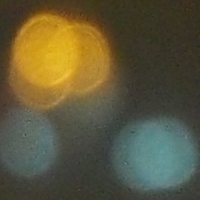 Chromatic aberrations, typically seen as purple or blue fringes along contrasty edges, are essentially a non-issue with this lens. 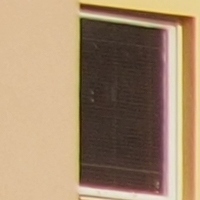 We were hard pressed to find any evidence of CA in the images – these are the absolute worst examples we were able to dig up. 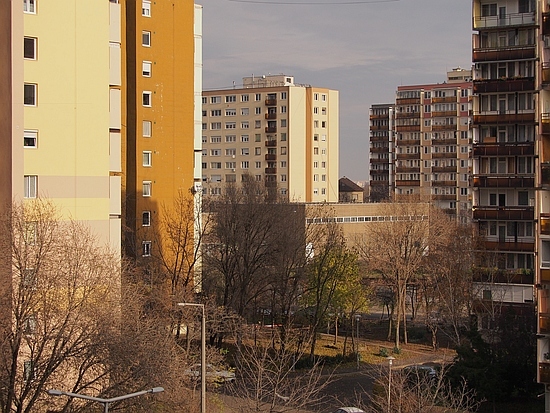 With the lens set to its maximum aperture, you can see some light fall-off in the corners but it will not be overly noticeable in your real-life photos. This is not a macro lens but its close-up performance is decent. 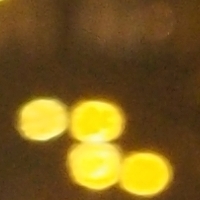 As mentioned above, the minimum focus distance is 0.7m, as measured from the sensor plane The shot below demonstrates how close you can get to the subject – in this case, a Compact Flash memory card. Bokeh is a word used for the out-of-focus areas of a photograph, and is usually described in qualitative terms, such as smooth / creamy / harsh etc. In the M.ZUIKO Digital Pro 40-150mm f/2.8 ED, Olympus employed an iris diaphragm with 9 rounded blades, which has resulted in a pretty decent, albeit not outstanding, bokeh for a zoom lens - at least in our opinion. 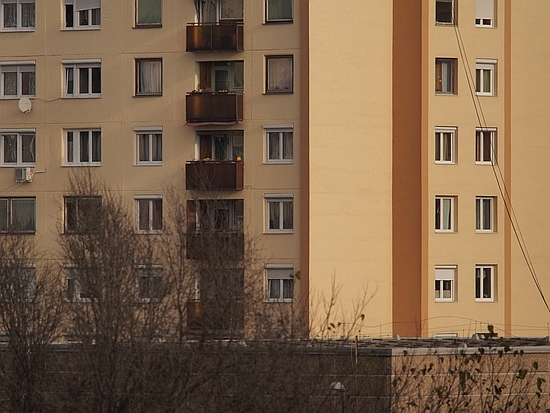 However, recognising that bokeh evaluation is subjective, we have provided a few examples for your perusal.